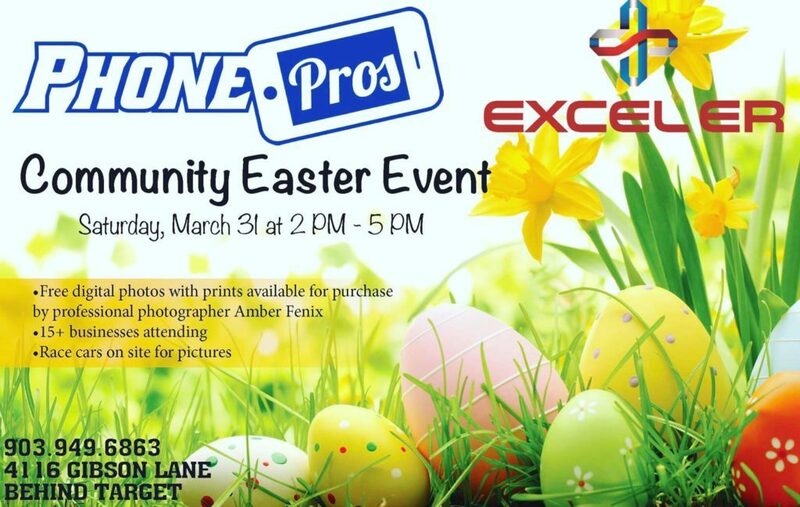 Community Easter event presented by Phone Pros and Excel Er. We will have free digital photos with prints available for purchase by professional photographer Amber Fenix. 15+ businesses attending. Race cars on site for pictures. Please be sure to let us know your coming by clicking going. We look forward to seeing everyone there!